The school year is coming to an end and children everywhere are rejoicing. Parents, on the other hand, are probably not as excited to have their kid’s home all summer long and will be counting down the days until school starts again. The people who teach our children don’t often get the credit they deserve. Great teachers put their heart and soul into their job. 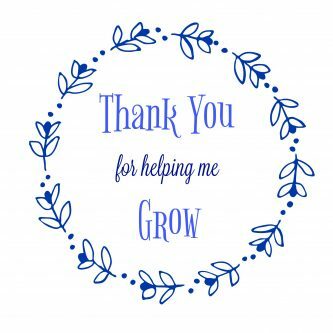 Almost everyone has a special teacher they remember from their childhood who made a positive impact on their life. Purchasing gifts for teachers can be difficult. How do you know what they like? Edible gifts like coffee and chocolate can be hit or miss depending on their personal preference and possible food allergies. 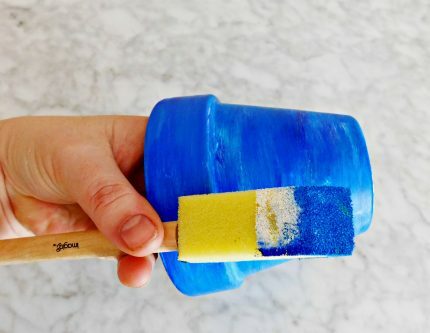 Kids will love to make this cute and simple painted planter for their teachers. 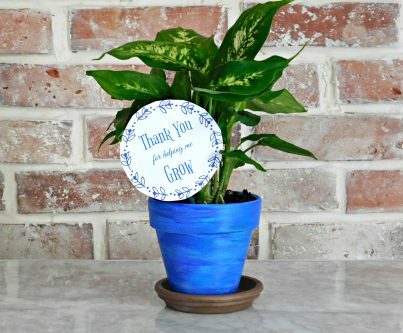 If you don’t have time to paint the pot or your kids don’t like to do crafts you can always buy a pretty pot and use the free printable. To print, click on the image to open in a new tab, then click Ctrl + P or Cmd + P to open your printer dialogue box. 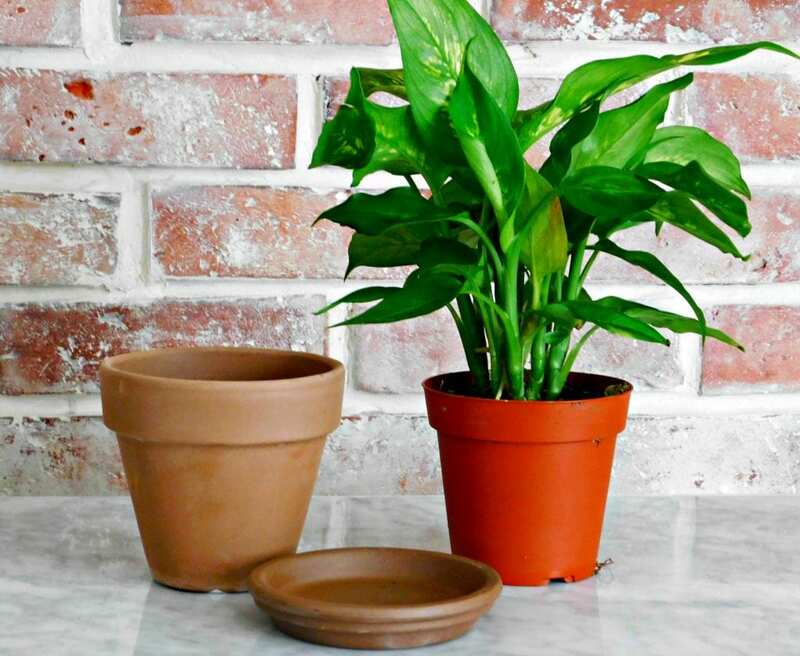 Have your kids paint the terra cotta pot with craft paint in any design they like. Let it dry overnight. Replant the houseplant in the new pot. 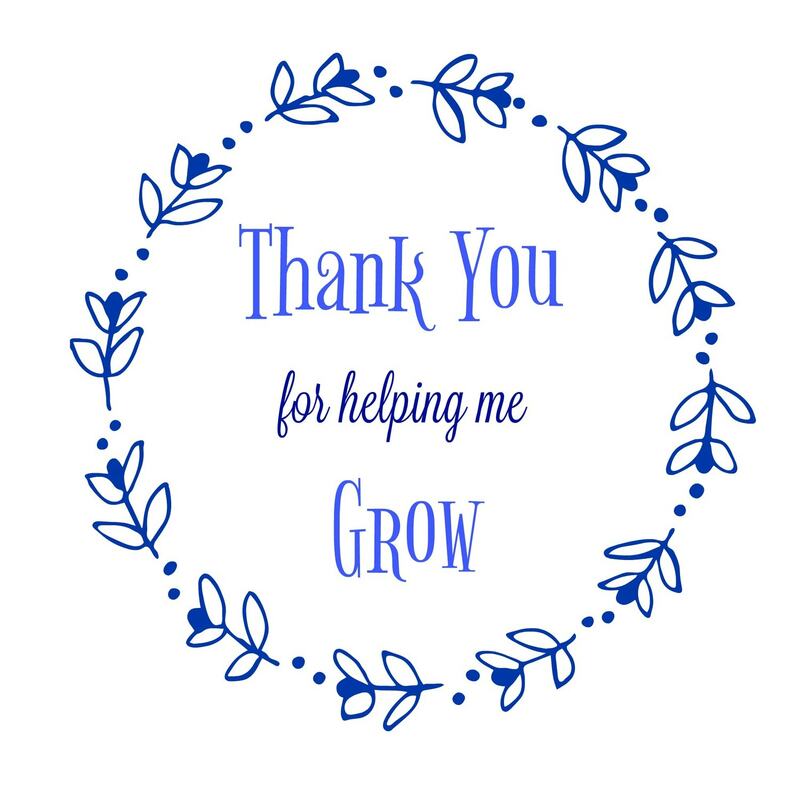 Print and cut out the Thank you for helping me grow printable. 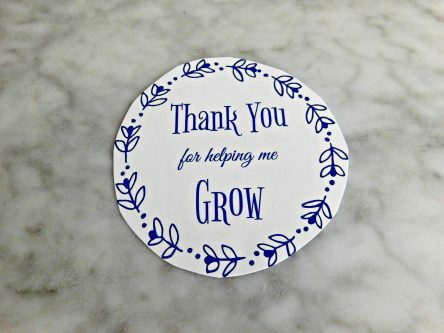 Give it to your favorite teacher. 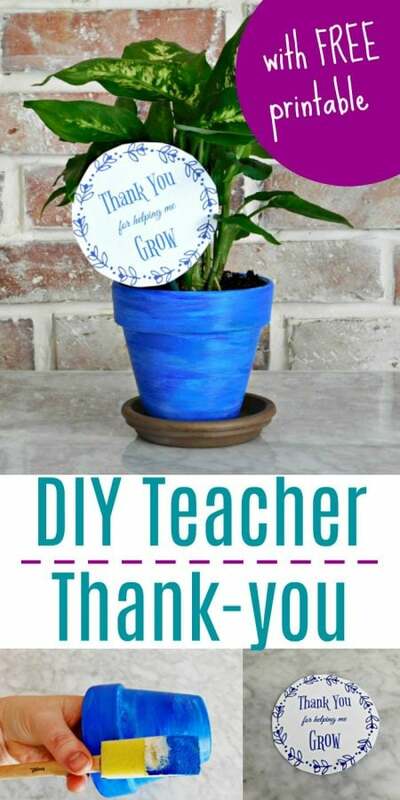 What are your ideas for handmade teacher appreciation gifts? Share your ideas on social media! We’re on twitter @adrienneaudrey and @ugifter.